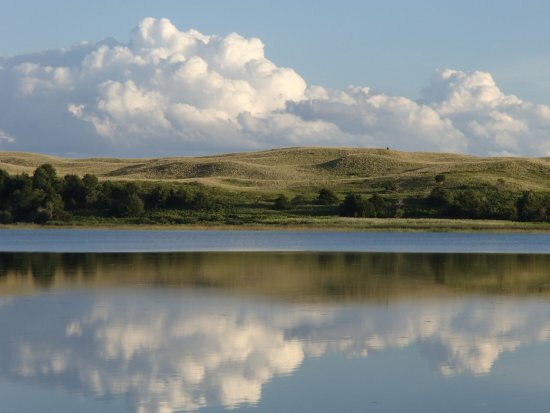 The Nebraska Game and Parks Commission has declared a fish salvage for Hackberry Lake on the Valentine National Wildlife Refuge (NWR) south of Valentine from Feb. 1 through Aug. 1, 2019. — Length limits will be rescinded but daily bag limits will be maintained. Those limits being rescinded are the one-fish-34-inches-or-longer restriction in the northern pike daily bag limit, the one-fish-21-inches-or-longer restriction in the largemouth bass daily bag limit, and the 15-inch minimum length limit for largemouth bass. — Fish may be taken only by hook-and-line or archery. Game fish may be taken by archery July 1-Aug. 1 while nongame fish, such as common carp, may be taken any time. Due to concerns for the spread of aquatic invasive species, salvaged fish cannot be sold or used for stocking into other public or private bodies of water. The Aquatic Habitat Project is a joint effort of Game and Parks and the U.S. Fish and Wildlife Service (USFWS).